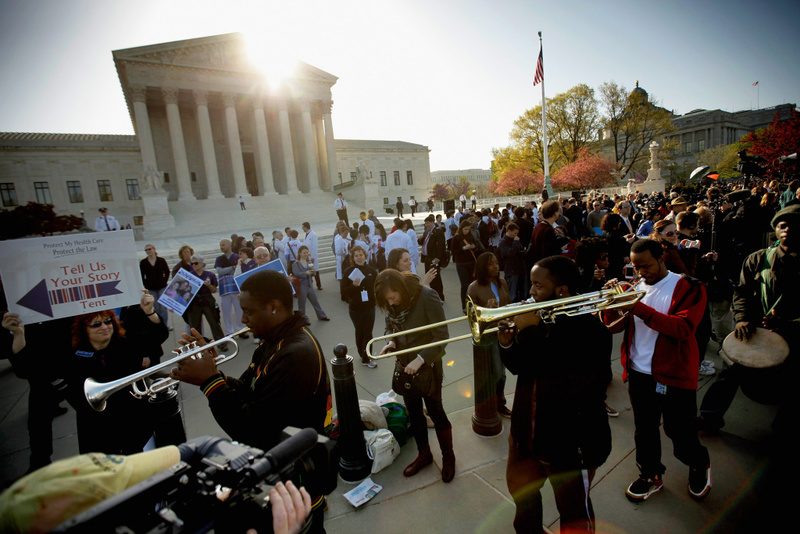 Demonstrators for and against the Patient Protection and Affordable Care Act march and chant in outside the U.S. Supreme Court Building on March 26, 2012, in Washington, DC. Today the high court, which has set aside six hours over three days, will hear arguments over the constitutionality of the act. Before the U.S. Supreme Court justices can decide on the constitutionality of the Affordable Care Act, they’ll hear arguments about whether it’s too soon to rule on the challenge to the law’s insurance requirement. What’s at stake? Does the Anti-Injunction apply in this case?